If you wondered just how popular the Angry Birds franchise has become, Rovio’s Peter Vesterbacka today announced that downloads of all of its Angry Birds titles have topped 1 billion, with half a billion of those in the last 6 months alone. Vesterbacka shared the impressive milestone with AllThingsD at CTIA 2012, noting that the company has not yet decided on when it will file for an IPO. The company revealed that its far-ranging Angry Birds games had been downloaded over half a billion times in November, posting a video to its YouTube account, attaching statistics to prove just how popular the game had become. On Monday, Rovio revealed first-quarter revenues of 75.4 million euros ($106,3 million), earning 48 million euros ($67.6 million) before taxes in 2011, which comes down to 64 percent of total revenue for the full calendar year – a healthy profit margin. The achievement isn’t that surprising when you take into account that its newest game — Angry Birds Space — hit 50 million downloads in 35 days, making it the fastest growing mobile game available today. 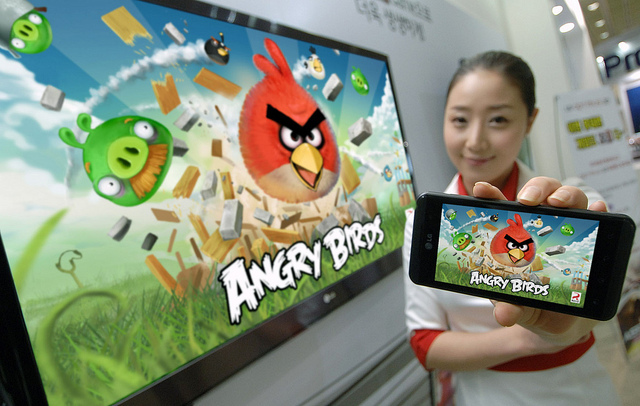 Angry Birds still sees more than 200 million active monthly users across all platforms — an incredible statistic.